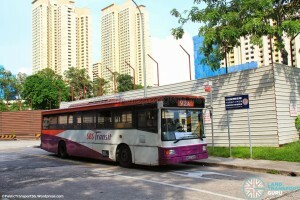 Ghim Moh Bus Terminal is located outside Blk 9 of Ghim Moh Road. 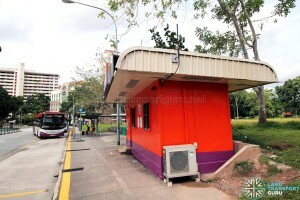 One of a handful of roadside bus terminals in Singapore, this terminal serves the small housing estate of Ghim Moh. 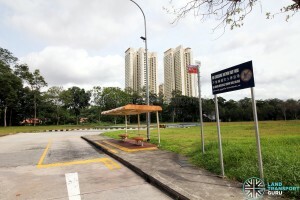 Nearby amenities include Ulu Pandan Community Center and Blk 20 Market & Hawker Centre. 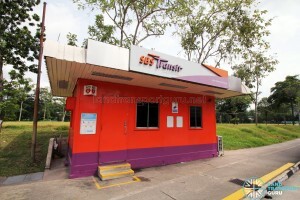 Currently, SBS Transit is the anchor operator of Ghim Moh Bus Terminal. 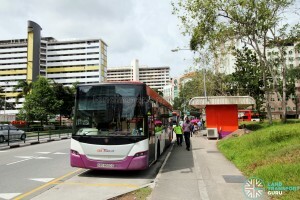 With the rollout of the Bus Contracting Model (BCM), the future operator of the Clementi Bus Package will take over as anchor operator of this terminal. Before the consolidation of bus routes to operate to and from major interchanges, roadside terminals were very common, especially in the seventies. Ghim Moh Bus Terminal was no exception, and opened in the late 1970s to compliment the building of Ghim Moh Estate. The terminal was situated adjacent to Block 9 and 10. 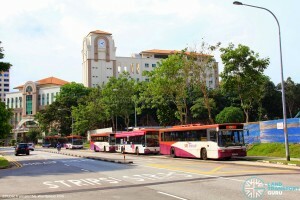 In 1986, the bus terminal was relocated to a bus bay outside Block 9 along Ghim Moh Road when the existing bus terminal was converted into a car park. One of the car park entrances was sealed off and functions as a turnabout point for buses entering from Commonwealth Avenue West. An alighting bay was also near the turnabout point, opposite a rubbish collection point. Due to limited land space, a permanent terminal was never constructed for Ghim Moh. Buses now layover and pick up passengers at the bus stop outside Block 9. 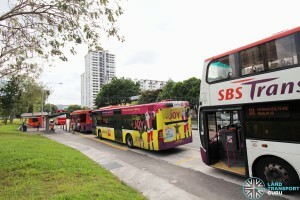 Service 92 and 92M also perform jumpbus at this terminal, where bus drivers would be substituted so the bus can continue its trip. In 2006, the HDB announced an En Bloc redevelopment scheme for Blocks 9, 9A, 10, 11, 12 and 12A. The blocks were slated to be demolished and then redeveloped. 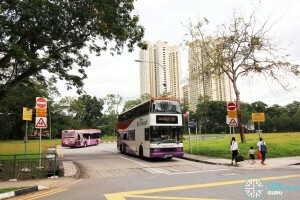 In early 2012, the blocks of flats were vacated, leaving the bus terminal with decreased ridership. 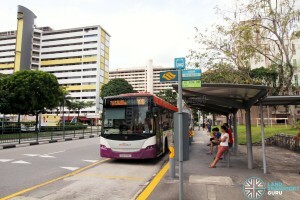 The terminal may possibly merge with Buona Vista Bus Terminal in the future. I don’t think we should merge terminal. This terminals make adults and children remind of the old days that we had roadside bus terminal and the old bus stop pole at the alighting point. So far no merging yet. Ghim Moh terminal still stays alive. 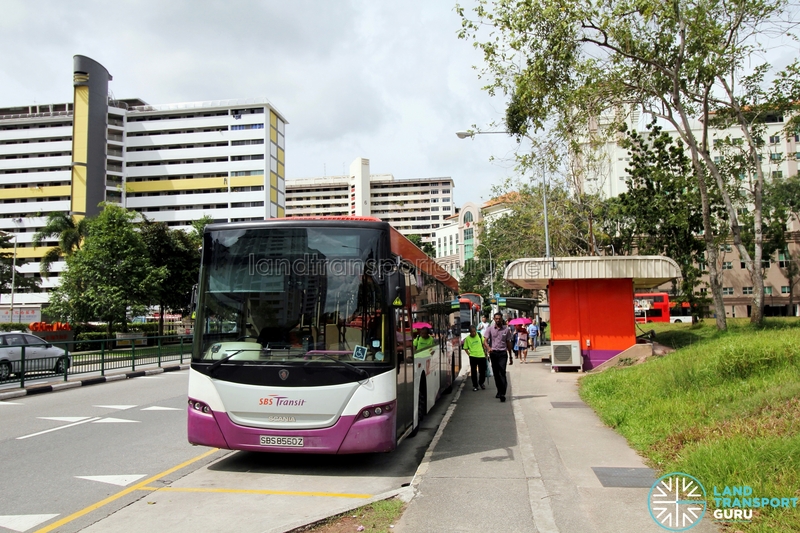 This terminal may not merge with Buona Vista Bus Terminal. 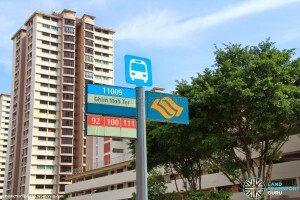 Firstly, Ghim Moh residents would have to make a longer journey to Buona Vista to catch services 100 and 111. 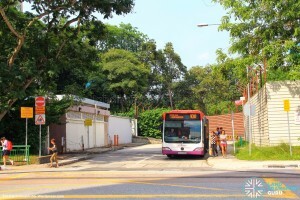 Secondly, there is currently an open space vacated by Ghim Moh Temporary Market & Food Centre after renovations on its current site, but buses continue to make a looping point before parking at the main road where the bus stop is. 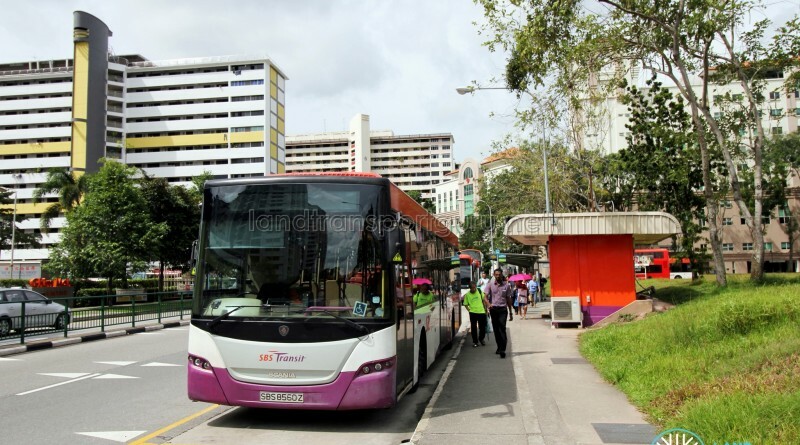 There should be a new bus interchange to facilitate traffic flow on the main road, even if it is not air-conditioned.